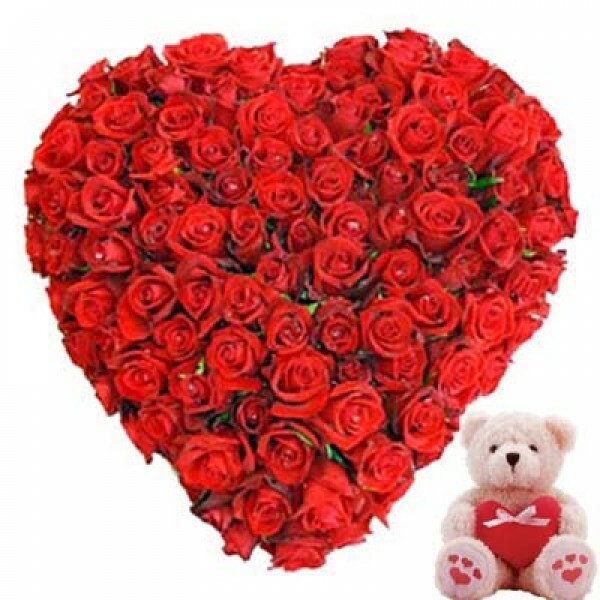 50 Red roses heart shaped basket with 12 inch white teddy bear for your love. For Standard Delivery and Remote Town Delivery: Attempt to deliver the product will be done anytime between 09:00am to 09:00pm. 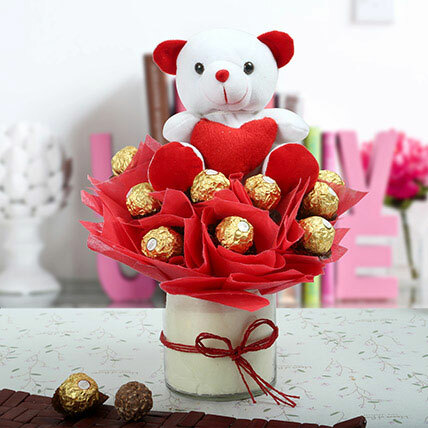 For Midnight Delivery: Delivery will be made between 11.00pm to 11.59pm on mentioned / asked delivery date. 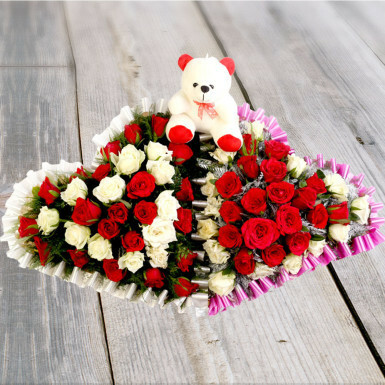 Note: If occasion is on 16th Jan then select 15th Jan as a date of delivery. 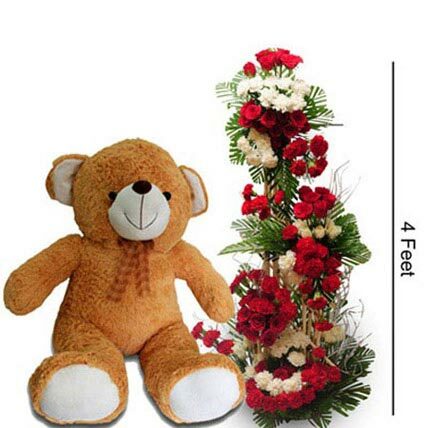 We will deliver the product on 15th Jan Night between 11.00pm to 11.59pm.